JACKSONVILLE, Florida, October 15, 2014 (ENS) – JEA, a community-owned, not-for-profit utility in Jacksonville, is the latest entity to offer rebates for plug-in electric vehicles. JEA is offering a $500 rebate for vehicles with batteries smaller than 15kWh and a $1,000 rebate for vehicles with larger batteries. As of September 19, the rebates apply to plug-in passenger vehicles, purchased or leased, either electric or hybrid. Rebates are available to JEA residential customers across the utility’s service area. Elsewhere in Florida, the Orlando Utilities Commission offers a rebate of up to $1,000 for the purchase and installation of an electric vehicle charging station. Other utilities across the country also offer rebates and other incentives to encourage the lease or purchase of electric vehicles. Alabama Power offers businesses a reduced rate for electricity purchased to charge plug-in electric vehicles. The electricity used for vehicle charging s metered separately from all other electricity use. The California Air Resources Board’s Clean Vehicle Rebate Project offers up to $5,000 in electric vehicle rebates to California residents for the purchase or lease of new, eligible zero-emission and plug-in hybrid light-duty vehicles. 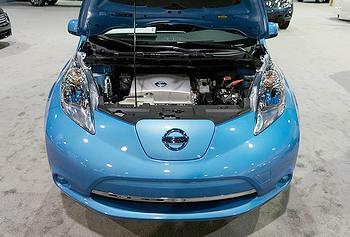 The Colorado Department of Revenue offers the Innovative Motor Vehicle Credit for a vehicle titled and registered in Colorado that uses or is converted to use an alternative fuel, is a hybrid electric vehicle, is a plug-in hybrid electric vehicle, or has its power source replaced with one that uses an alternative fuel. Electric vehicles and plug-in hybrids must have a maximum speed of at least 55 miles per hour. Vehicles registered in Georgia that meet the low or zero emission standard and are powered solely by an alternative fuel may be eligible for tax credits amounting to 10 percent of the cost of the vehicle of $2,500 for low emission and $5,000 for zero emission vehicles. Georgia offers businesses a tax credit equal to 10 percent of the cost of electric vehicle charging equipment up to $2,500 if it is accessible to the public. Hawaiian Electric Company offers a reduced pilot rate for both residential and commercial customers for charging electric vehicles. The Illinois Environmental Protection Agency offers a rebate of up to $4,000 for the purchase of a new alternate fuel vehicle, such as a natural gas, propane, E85, electric, or hydrogen vehicle. The Illinois Department of Commerce and Economic Opportunity provides rebates toward the installation of electric vehicle charging stations. The program is currently closed, but DCEO plans to reopen it in early Fall 2014. Rebates cover 50 percent of equipment and installation (materials and labor) costs up to $3,750 for a single station that is networked with a cellular or internet connection. In Indiana, Indianapolis Power and Light offers reduced residential rates for electric vehicle charging. Northern Indiana Public Service Company provides a credit of up to $1,650 toward the purchase and installation of an electric vehicle charging station for residential customers, on a first-come, first-served basis. NIPSCO also offers free charging for EVs between the hours of 10 pm and 6 am daily. 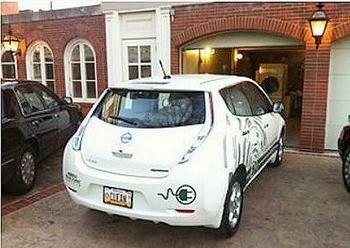 In Kentucky, Louisville Gas & Electric offers reduced rates for residential customers who own electric vehicles. In Louisiana, EV incentives available when paying cash for a new electric vehicle amount to $9,600 for an EV with a battery size of 60kwh and up to $13,600 for a 85kwh EV. A tax credit is available in Louisiana for a portion of the cost of an EV charging station. In Maryland, purchasers of qualified plug-in EVs may apply for a tax credit up to $1,000 against the imposed excise tax. Funded by the Executive Office of Energy and Environmental Affairs’ Department of Energy Resources and administered statewide by the Center for Sustainable Energy, the State of Massachusetts provides rebates of up to $2,500 for the purchase or lease of zero-emission and plug-in hybrid light-duty vehicles. Indiana Michigan Power will provide a rebate of up to $2,500 to residential customers for charging station installation. Also in Michigan, Consumers Energy Electric offers reduced rates for electricity used to charge EVs as well as reimbursement up to $2,500 to help cover installation of charging equipment for the first 2,500 applicants. In Minnesota, several utilities offer a reduced rate for electric vehicle charging during off-peak hours. Nevada Energy offers a reduced rate for electric vehicle charging during off-peak hours. In Oklahoma, a 75 percent tax credit is available for the installation of a metered-for-fee public access recharging systems. Oregon residents are eligible for a personal income tax credit of up to $750 for the costs of purchasing electric vehicle charging equipment. Businesses and business owners are eligible for a tax credit of up to 35 percent of the costs of purchasing electric vehicle charging equipment. In Pennsylvania, electric vehicle buyers are eligible for a rebate of up to $2,000 awarded by the Pennsylvania Department of Envionrmental Protection on a first-come, first-served basis. In Utah, electric vehicle purchasers are eligible for an income tax credit of up to $605. Other states either offer no incentives or smaller incentives such as exemption from emissions inspections or use of High Occupancy Vehicle highway lanes without meeting the occupancy requirement. On a national level, EVs may be eligible for a federal income tax credit of up to $7,500. The credit amount varies based on the capacity of the vehicle’s battery. According to goelectricdrive.com, it costs two to three cents a mile to drive an electric-powered car. As the average American drives about 40 miles a day, it costs less than $1.50 a day to power a plug-in electric vehicle.